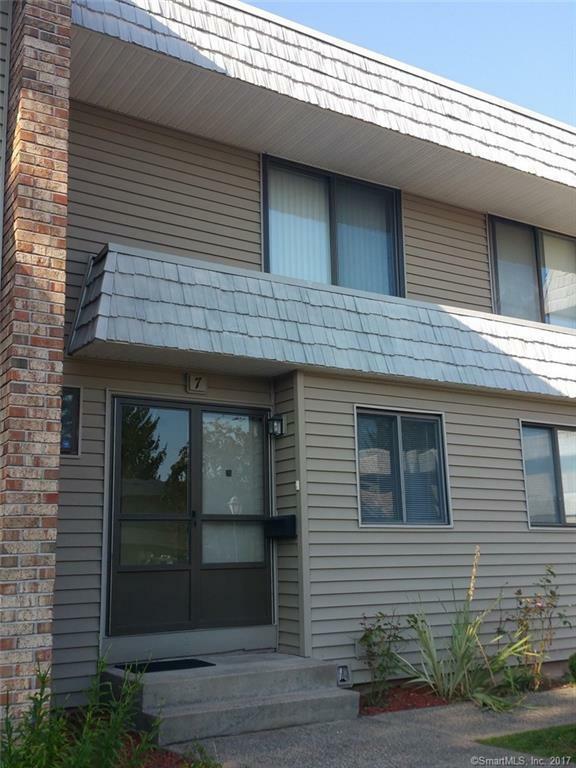 What an opportunity to live in this spacious townhouse with 2 bedrooms, 1.1 bath unit in MOVE In Condition!! Front two doors open up to make it easier to move right on in. As soon as you walk in you will notice the unit has been totally repainted. Yes, totally, ceilings, walls, woodwork, inside closet. Spacious open floor plan! Huge Living/Dining room. Vinyl windows and doors Entire condo is in the process of being painted. Sliders that lead to a private patio for grilling! Large expanded eat-in kitchen with lots of cabinets! Master bedroom with balcony (length of bedroom) and Walk-in (5'x4'6") closet! Brand new flooring in full bath. Updated Electrical, Multi Zone, Baseboard Heat & Central Air! Fully finished lower level can be used for man cave/family room with brand new carpeting... not even a week old! With so many choices, why would you want to buy another unit for more and get less? Enjoy this summer in the fabulous pool, clubhouse & tennis courts also for your recreation! Close to all highways and shopping! You can be just about anywhere in 30 to 60mins.